Photos – Reality TV Stars’ Kids Are Killing Us With Cuteness! 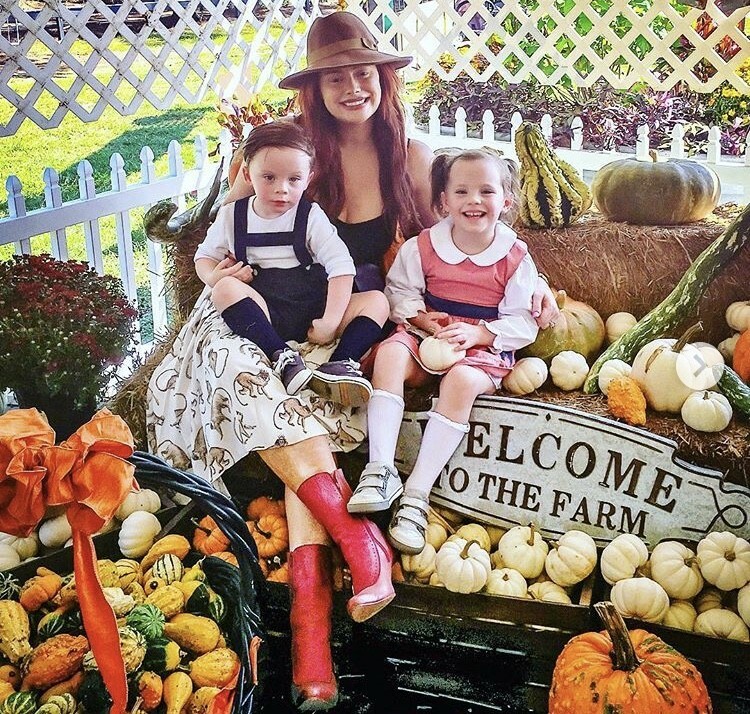 Our favorite reality TV stars, like Lizzie Rovsek, Kyle Richards, Lisa Rinna, and more, love to show off their adorable kid/family photos on social media. It’s tough to narrow down, but here’s our pick for the sweetest photos this week. Below you’ll also find pictures of Catelynn Lowell and Tyler Baltierra‘s baby Novalee, Kim Zolciak‘s boys giving some attitude, Kristen Taekman‘s cutie Kingsley enjoying the sun, Toya Bush-Harris‘s family in Disney, and more. Our favorite reality TV stars cannot get enough of the spotlight during their regularly scheduled TV time slots, so they take to social media to share (and overshare) even more of their daily lives with us. And we love them for it! Here's a roundup of some of our favorite family photos from the past few weeks. Real Housewives of Orange County star Lizzie Rovsek shared the above picture of her adorable son Kingston, adding, "My lil King at brunch – crayons and a choo choo train." Below you'll find Twitter pics from Mayte Garcia, Trista Sutter, Kim Zolciak, Rasheeda Frost, Jessica Simpson, Heather Dubrow, and more. Sean Lowe Doesn’t Like ‘Bachelor’ And ‘Dancing With The Stars’ Fame; Also, Jason And Molly Mesnick Welcome Baby Girl! Mr. Three Back-to-Back Reality Shows, aka Sean Lowe, is now crying about the fact that he can't go out with his buddies without being hounded by fans. Well, when you flaunt your rock-hard abs on TV every Monday night, these things are bound to happen. "I've always said that I'm not looking for fame," Sean said. "In fact, I don't like the fame aspect of being the Bachelor or being on Dancing With the Stars. I wish I could – you know, I can't go out in Dallas with my buddies anymore because I'm left taking pictures the whole night because people – you know, they recognize me and they want to take pictures."